Art that rewards the attentive eye. FIELD NOTES: For most of us the changing of the leaves is a traumatizing reminder of the cold weather to come. Paul Karkas, however, has made the best of our grim meteorological fate. 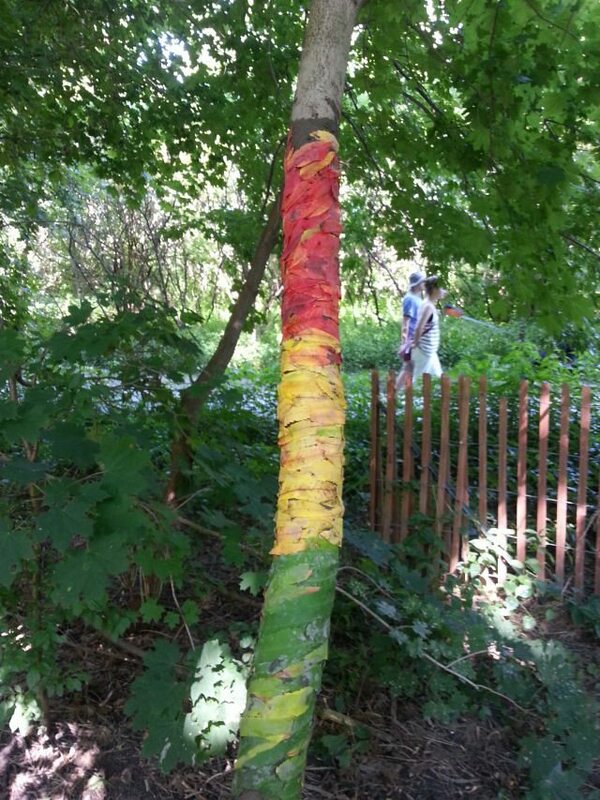 His colourful pieces blend into the surrounding trees, and yet they stand out as wonderful creations. 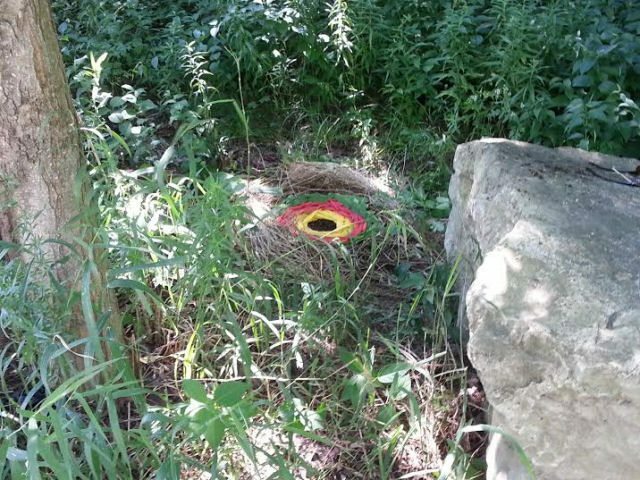 If you plan on going for some strolls around Evergreen Brick Works amid the beauty we will reluctantly admit fall brings, you may get just lucky and spot some art.